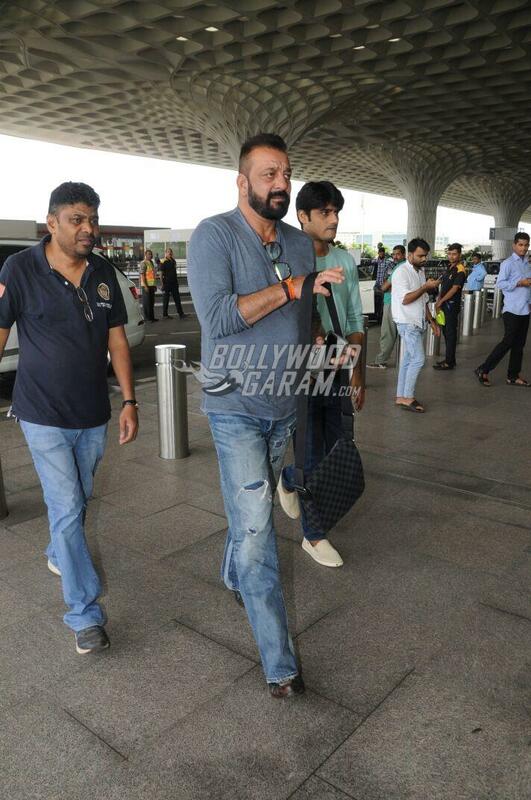 It was a bright day at the airport as the heavy rains came to a stall and B’town celebrities could resume with their travel schedules. The Mumbai airport saw Sridevi, Sanjay Dutt and Kareena Kapoor with her adorable son Taimur Ali Khan. Sridevi looked every bit a diva in a black pair of denims, blue jacket and silver shoes with her hair open and black glares. 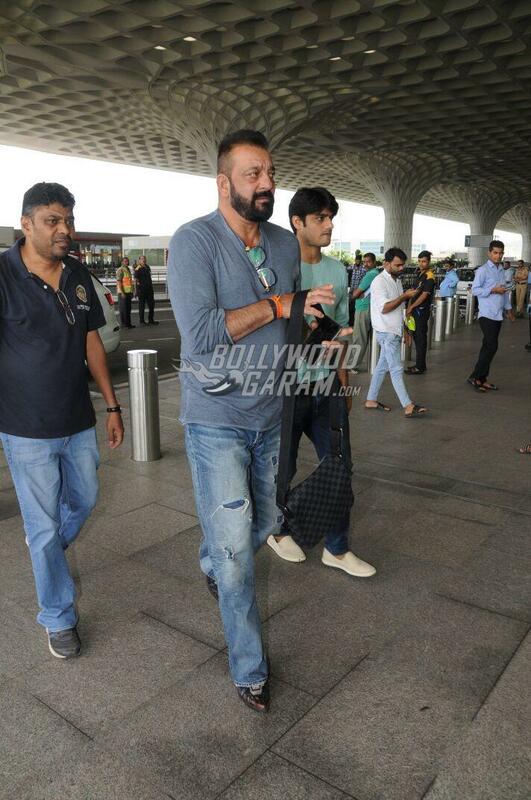 Sanjay Dutt was photographed leaving for a promotional event out of Mumbai and carried a stylish look in a grey pullover and a pair of rugged denims. The one who caught everyone’s attention was Kareena, who was seen carrying Taimur Ali Khan at the airport. 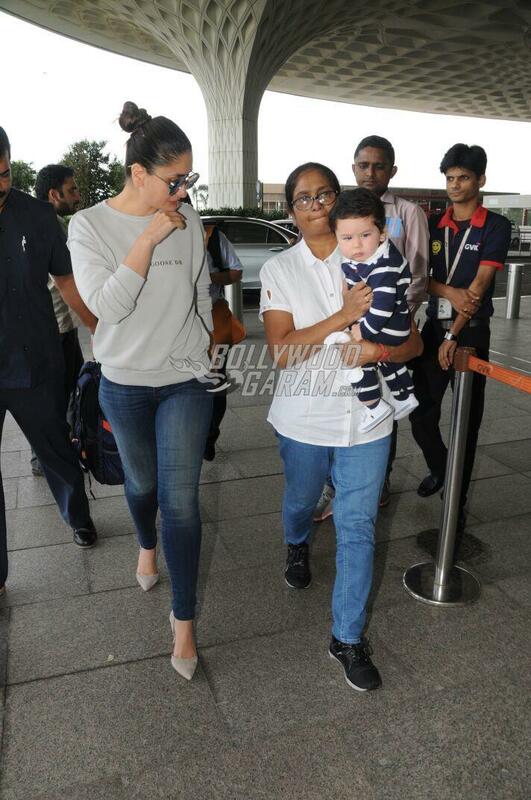 Taimur did not seem in a good mood and was accompanying by his nanny. Kareena, too looked great in a grey pullover, blue denims and her hair tied in a neat bun and a pair of reflective glares. Taimur looked adorable in a blue striped romper. The Jab We Met actress is currently gearing up for her upcoming film Veere Di Wedding which also stars Swara Bhaskar and Sonam Kapoor.